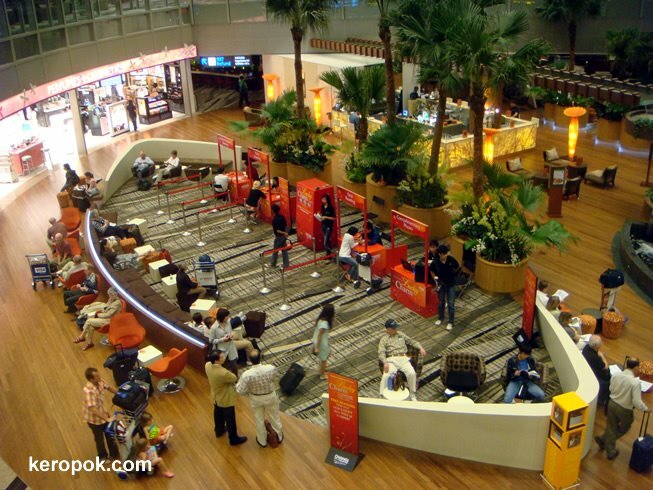 'Boring' Singapore City Photo: At the airport..
Have not stepped into the airport since I went to the Terminal 3 Preview. This was what I saw today. Sis and Mum came back from holidays and we were there to pick them up. Went over to Terminal 3 to have a peek at the 'real' thing and dinner. Looks like people at the airport are relaxing. There are freebies being given out too.